Looking for an easy way to pull data from your database? Frustrated by the lack of synchronization between your historians? 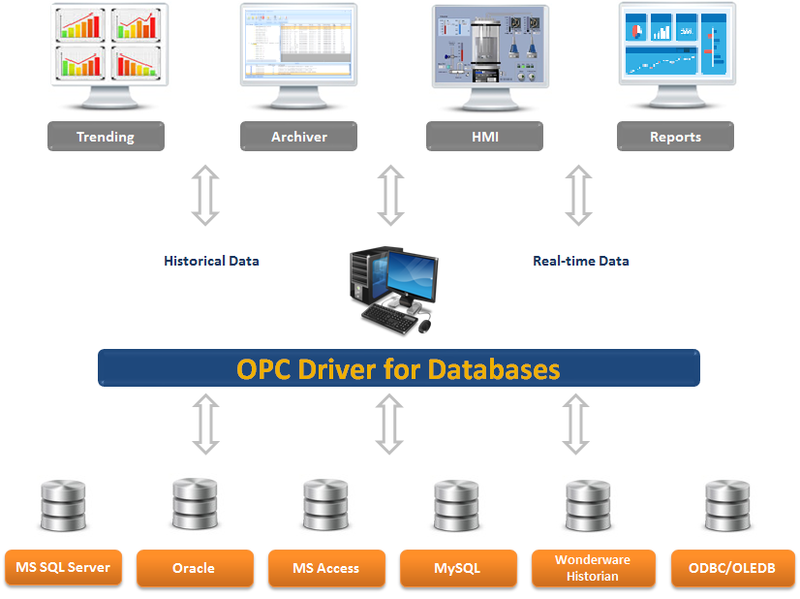 The OPC Driver for Databases is the right solution for you. In fact, it is a plug and play OPC Server for databases. It provides OPC clients with full access to the data stored in your relational databases and supports OPC real-time data access and historical data access. This OPC server integrates with Microsoft SQL Server, Oracle, Microsoft Access, MySQL and Wonderware Historian. 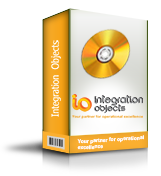 Moreover, it can integrate with any other database via OLEDB or ODBC drivers. Users can benefit from an intuitive and graphical configuration environment to easily set up their databases connections and tables mapping. This OPC driver for databases is the bridge that you have been looking for to establish an OPC link between your enterprise databases and control systems such as SCADA, DCS, HMI or historians. With this OPC link, users will be able to transfer SQL, Oracle or MySQL data to OPC based systems. The transferred data can be raw data or processed data using aggregations such as interpolation, minimum, maximum, average, range and total. OPC Historian Made Easy with the OPC Client for Databases! No more DCOM configuration issues with OPCNet Broker DA HDA AE! Try the latest version of OPCNet Broker DA HDA AE and discover how you can secure your OPC data now!